Hello, I am glad you stopped by to look at my work! 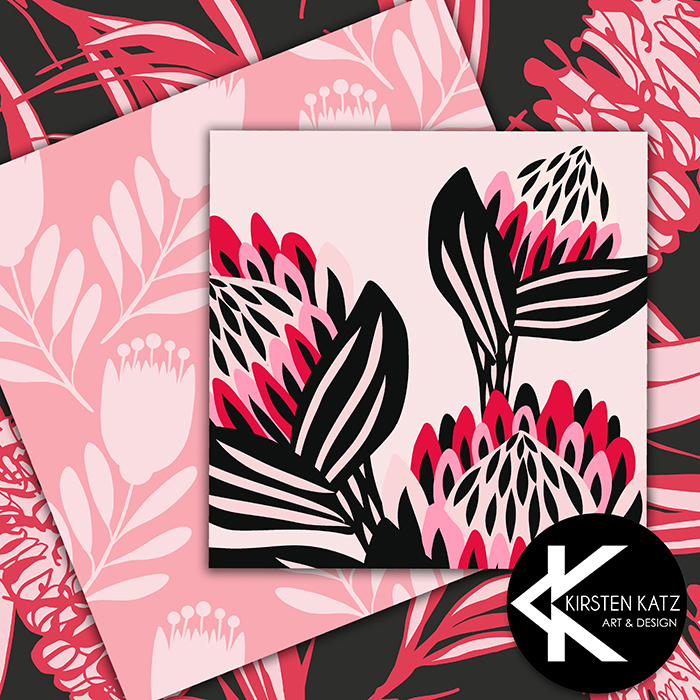 I am an artist and surface pattern designer living in Sydney Australia close to Bondi Beach and Sydney harbour. I have a passion and love of flowers, nature and the outdoors. 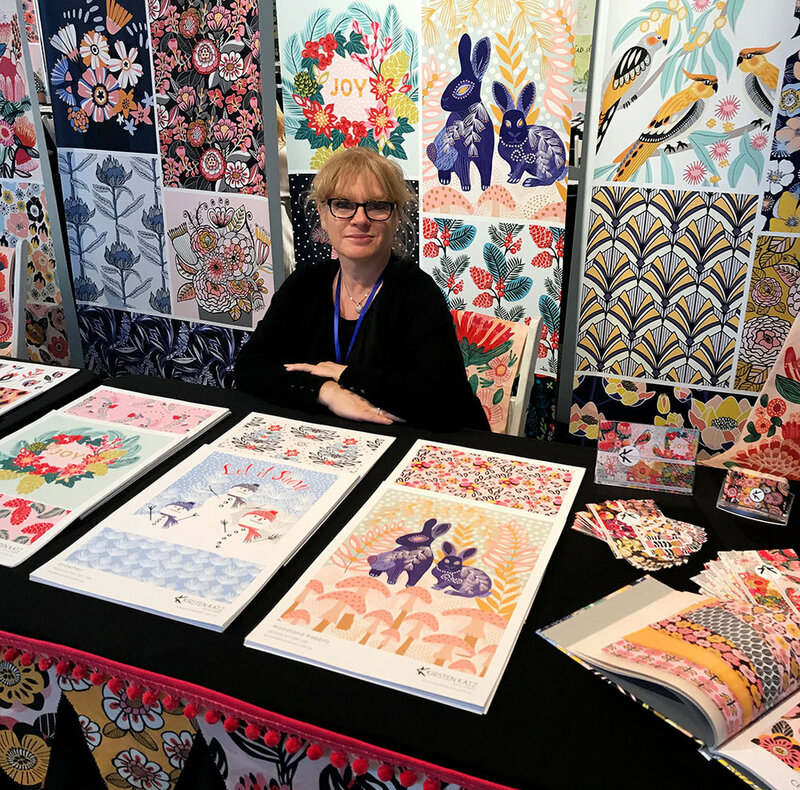 I specialise in creating art, illustrations and repeat patterns that incorporate modern florals, botanical motifs, birds, animals and nature themes and more recently Christmas and Winter Holiday art. 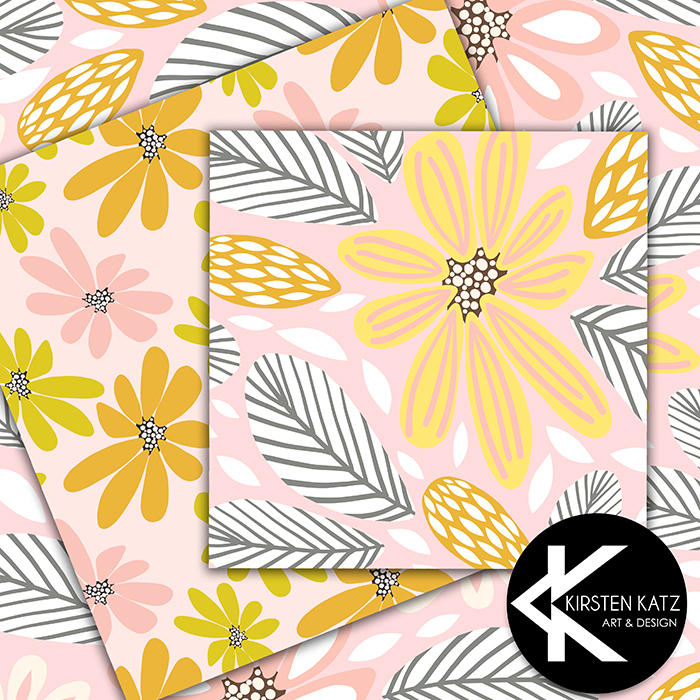 Since studying Textile Design and Printing at The Fashion Design School in Sydney I have worked on building my portfolio and signature style to create an extensive collection of surface pattern designs and illustration artworks. 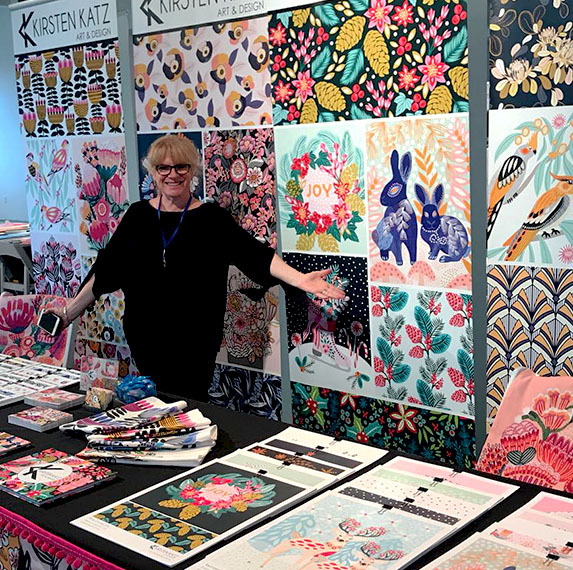 I love experimenting with new processes and technologies that enable me to produce designs that combine the practices of screen printing, hand drawn illustration, painting and mixed media with graphic digital design. I have worked with various companies to license my art. My designs can be found on a variety of products including apparel, home décor, fabric, stationery, greeting cards, giftware and wall art. I welcome the opportunity to work with new clients to create custom designs for specific design projects and doing collaborations. I'd love to hear from you to discuss your project further. If you’re an art director, art buyer, agent or manufacturer looking for art for your products I have an extended private portfolio with pattern collections, illustrations and Christmas winter holiday art that is suitable for fabric, stationery, home decor, packaging, gifts and more. What type of art are you looking for? Please let me know if you are looking for anything in particular. Would you like to receive my newsletter for Art Directors, Agents and Manufacturers and be the first to see my latest work?